This post has been updated on January 28, 2018 to include new information about maternal Tdap vaccination. Pertussis (also known as whooping cough) is a highly contagious respiratory disease that spreads easily from person-to-person through coughing and sneezing. 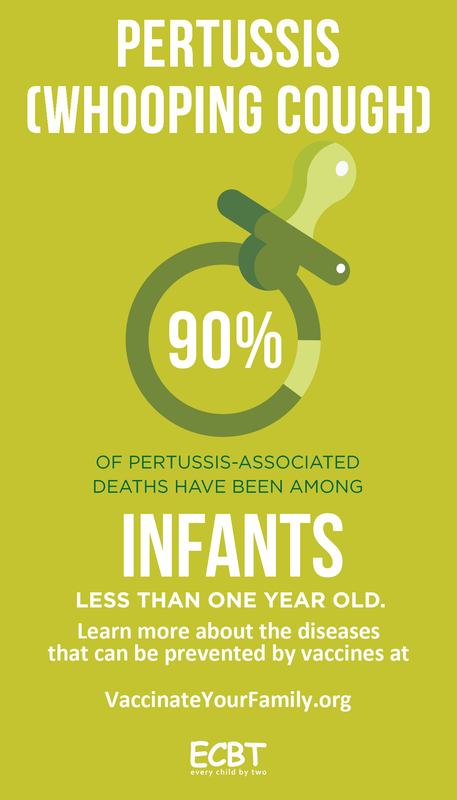 People of all ages can be affected by pertussis, but it is most dangerous for babies. Since infants don’t begin receiving their own series of pertussis vaccination (DTaP) until they are two months of age, they remain vulnerable to pertussis at a time when they are also the most fragile, and it is up to us to help protect them. When adolescents, adults and pregnant women receive their Tdap booster vaccine, they not only help protect themselves, but they also help reduce the spread of the disease to young children. It’s especially important for expectant women get a Tdap booster during each pregnancy (preferably between the 27th and 36th week) so that they can pass antibodies on to their unborn baby. This provides critical protection against whooping cough until that baby is able to get their own series of whooping cough vaccinations (DTaP) at 2 months of age. Tdap vaccine also protects mothers during delivery, making them less likely to transmit whooping cough to their newborn, which can easily occur. “One of the important things to know is most babies who develop whooping cough get it from an older child or an adult in the family,” said Dr. Stechenberg. It only takes one tragedy – like that experienced by Jonathan Alcaide and Kathy Riffenburg, who lost their son Brady – to remind us that we can help protect one another from this highly contagious disease. 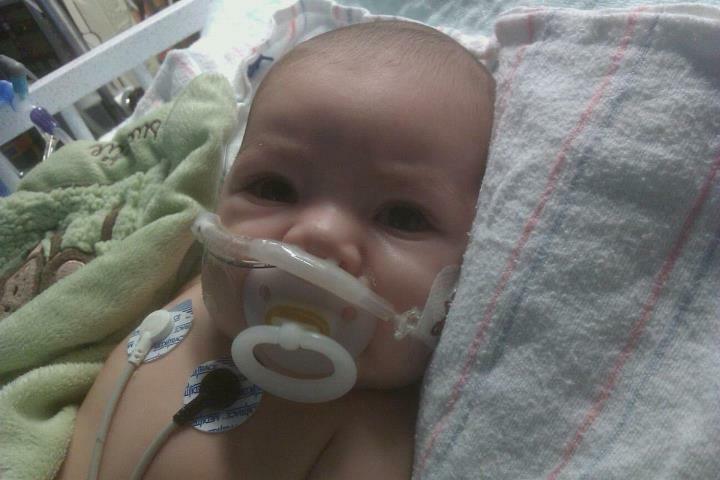 Brady was a healthy and happy baby when he was born on November 20, 2011. As excited as they were about his arrival, they thought they were taking every precaution with their son. They even insisted that visitors wash their hands or use hand sanitizer before they were permitted to pick him up. But then in early January, they noticed Brady was coming down with what they assumed was a cold. When his fever spiked to 104 they brought him to the ER where they completed a multitude of tests. They finally sent him home, requesting that they keep an eye on the cold. Kathy kept her friends and family updated on Brady’s condition through her own Facebook posts. One week later, they were back at the hospital. While the staff at BayState Medical Center worked diligently to help Brady, his condition fluctuated daily, as observed through Kathy’s continued Facebook updates. 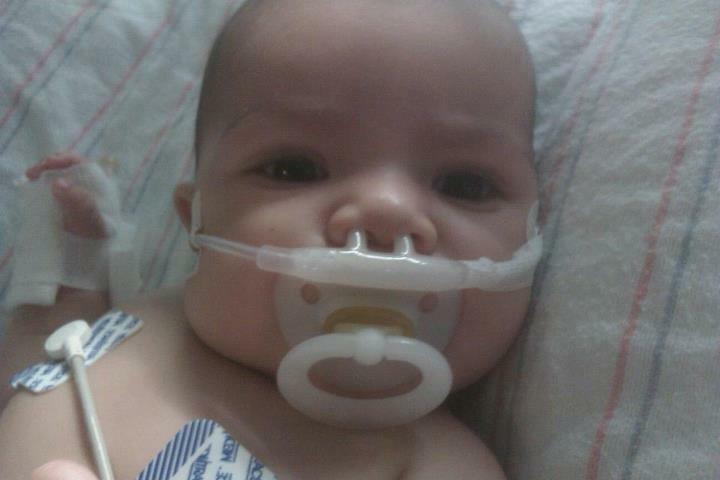 January 17: Brady is still having a high respiration rate. Not a change. I feel he’s getting worse. 🙁 I guess this particular virus this is what we can expect …worse before better. January 17: Daddy went home to be with the girls and let them sleep in their own beds. Just me Brady and the Bruins ♥ hopefully we have a quiet night… on a good note his breathing is getting better and he even gave daddy a smile before he left! Keep the prayers coming. They are being heard! High possibility no breathing tube will be needed. January 17: A little smile he is saving them all for the nurses little flirt! — with Jonathan Alcaide. January 20: Well 2 months ago I had my handsome little boy ♥ and today is day 5 in the pedi ICU, hopefully good news will be coming our way. January 21: It’s hard when you see everyone coming and going from this unit, seems everyone but Brady is getting better 🙁 When will it end? Just want to bring my son home. So tired and exhausted hopefully some good news tomorrow. January 22: Don’t want to jinx but Mr Brady pants is being weaned off his oxygen flow. Dr. Duda the respiratory md says he sounds and looks great and we soon can start the feedings back up 🙂 Keeping positive my little guy will be out soon. January 23: Brady is still doing the same. They finally after 8 days started him on antibiotics. They think its whooping cough. The min we can leave is 5 days! This is the worst experience I ever had to go through 🙁 So thankful to have Jon. We are side by side holding each other’s hand balancing this and the girls. Boy, after this we need a vacation. January 26: Just to let everyone know Brady’s status is not getting better not worse but we have a team of attendings that are going to be taking on his case with the md that he has had…they are assessing him now and going to brainstorm on what is going to happen next. Just want my baby back 🙁 Healthy. At this point there was little that Brady’s parents could do but hope and pray that their precious boy would get better. However, Brady’s condition grew desperate and on Juanuary 27th, Brady was transferred to Children’s Hospital in Boston. He passed away the next day, just barely 2 months old. January 27: We are now at Boston’s Children Hospital. Brady is in critical condition. His heart stopped and they had to give him compressions…we are waiting to see him. They put him on a heart and lung bypass machine. They are worried about brain injury; please pray he will be a healthy boy playing baseball someday. I will try to update as much as I can. Now Kathy and Jon are determined to educate everyone about the importance of adult Tdap boosters and the more recent recommendations for maternal Tdap vaccine that weren’t in place before they lost their son. To help prevent this sort of tragedy from happening to other families, they have become regional advocates for Every Child By Two/Vaccinate Your Family and have started a Facebook page called “Brady’s Cause” where they’re asking people to pledge to get vaccinated. You can take the vaccination pledge on “Brady’s Cause” Facebook page here. Let’s let Kathy and Jon know how much we appreciate them sharing Brady’s story. We are grateful to all our family advocates who continue to spread the word about the importance of adult and maternal Tdap boosters. Together we can hep protect babies from pertussis. Oh my god. My heart goes out to that family. My family has had our boosters, because of stories like this. my whole heart goes out to this family…as my family went thru the same living hell in jan 2010–loosing our precious granddaughter callie grace to pertussis—-my daughter and son in law have spoken out in newspapers, radio,television—everywhere they could and continue to do so to educate the world about the TDAP—–i just dont know why this isnt avaviable info at EVERY dr office out there!!!!! As adults, there are so many ways we can work together to protect newborns from vaccine-preventable-diseases. By talking to our family and friends, and sharing heart-wrenching stories such as Brady’s, we help to educate and highlight the importance of adult-boosters and maintaining up-to-date with immunizations. Thank you Kathy and Jon for sharing your story and making it your mission to prevent future avoidable deaths. Since we’re speculating, it’s just as easy to guess that a vaccinated individual passed pertussis on to this baby. The vaccine is not known to prevent transmission. Also, since U.S. hospitals have such high mortality rates, it can also be speculated that the baby’s medical care was lacking, or even detrimental. Other factors can influence disease risk in a baby, such as breastfeeding (or lack thereof), and family history of immune dysfunction. 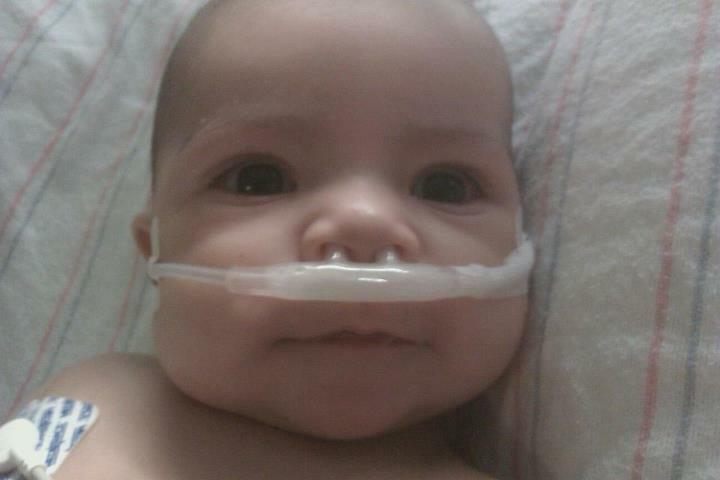 Since we’re speculating, it’s just as easy to guess that a vaccinated individual passed pertussis on to this baby. The vaccine is not known to prevent transmission. breastfeeding (or lack thereof), and family history of immune dysfunction. The citation should be the title, journal and dates of the PubMed indexed papers, and not a website selling a book. Kathryn, my deepest sympathies for you loss. I also find the accusation of not breastfeeding to be despicable. While breastfeeding is helpful, it does not prevent most diseases. My fully breastfed daughter still got chicken pox when she was six months old. It is just one of the “blame the victim not the disease” tactics I have encountered after my son had seizures on his second day of life (sorry, “researchvaccines”, it was over twenty years ago, so no vaccine was involved). Usually by folks who are making a stab in the dark without any knowing us or what we had been through. They seriously have no idea that they are acting cruel and heartless. And the CDC states that children who had never received any doses of DTaP (unvaccinated children) face odds of having whooping cough at least eight times higher than children who received all five doses. No, it doesn’t prove that a vaccinated child or teen whose immunity had waned wasn’t the source of the infection, but it certainly makes it a little more than a guess that an unvaccinated child was involved somewhere. 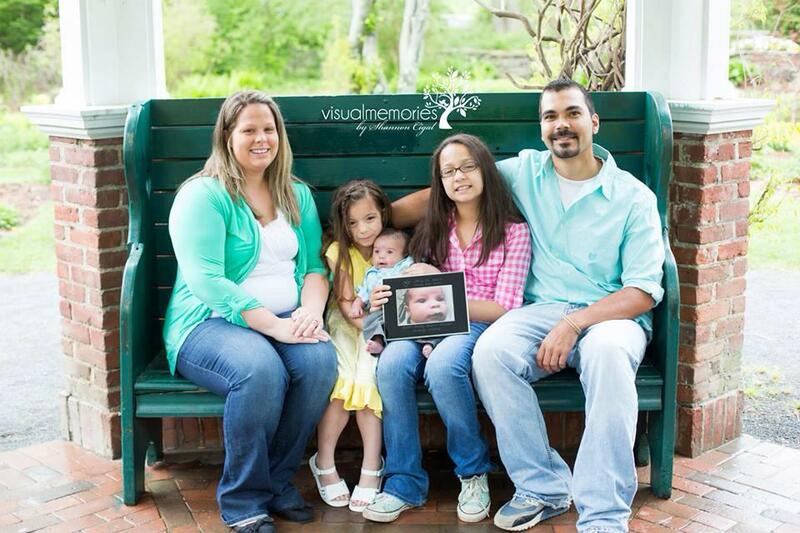 I am so heartbroken for this family. No one should lose a child, especially to a preventable disease. I made sure anyone holding my newborn was vaccinated because this can happen and no one should have to go through that. Thank you for sharing your story, it made me cry. He was a beautiful boy. Hopefully this will save another babies life by showing the importance of vaccines for children and adults. My heart goes out to your family. I also find the accusation of not breastfeeding to be despicable. While breastfeeding is helpful, it does not prevent most diseases. My fully breastfed daughter still got chicken pox when she was six months old. Way to downplay the benefits of breastfeeding using anecdotal evidence. It is similarly cruel to blame unvaccinated individuals, when without clinical evidence, it is impossible to know which individuals are immune and which are not. Again, please provide citations for your statements, as I asked. This article is a reminder that adults need to get a Tdap booster, especially if they will be around babies. It is not a vehicle for you to sell a book, by authors who do not seem to be medically qualified. I did not argue that you did not breastfeed, only that there are other factors to consider which were left out. So sorry for the loss of your little one. Which you need to support with verifiable scientific documentation. Perhaps something like this. As the Immunization Coordinator at our Public Health Department it makes me very sad to read your story. By sharing it you are helping other parents see why it is so very important to immunize their children and themselves to avoid what happened to your family! Thanks for your courage. My heart goes out to you. I don’t know what it’s like to lose a child, but it’s heartbreaking to watch them suffer and be unable to do anything to help them. I applaud you for turning your personal loss and tragedy into motivation to help others who may not understand how devastating these diseases really can be, not only to the one who suffers with them, but to those who can only watch what they have to go through while fighting it and hoping and praying they can win, which doesn’t always happen. One person dying from a disease that can easily be prevented is too many deaths from vaccine preventable disease. Nobody should have to suffer through an illness, it doesn’t make anyone stronger, case and point, the permanent damage done to my lungs when I suffered through pertussis in high school. My ambitions of becoming an Olympic swimmer were destroyed with one disease. The best I can do now is make sure my children don’t have to suffer through it, that is why all my children are fully vaccinated and I hope they will continue to get their boosters as they become adults and take responsibility for their own health. my heart goes out to this poor family! I used to work in inner city family shelters and saw several cases in little ones who thankfully survived. 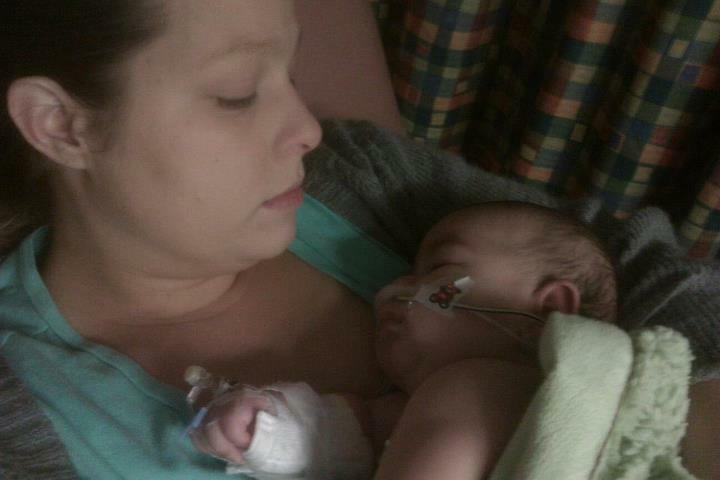 I then ended up with pertussis while 36 weeks pregnant and am so thankful I knew to ask about it. Having seen it I was petrified at the thought of passing it on to my newborn! I am glad treatment was available but I wish that the vaccine had been more readily available as it was not funded well when it initially came out. Thank heavens it is more well paid and available now! Blessings to your sweet family. @cia – whale.to huh? You must also believe in Chemtrails, Morgellon nanobots, FEMA camps, and AIDS denial as well…..not exactly the place to pick up rational or logical information on anything…. This was a study published in American Society for Microbiology in December 2000. It found that in the six adults of the study, the pertussis vaccine did nothing to help them kill the pertussis bacteria, and in some it had a negative effect. Since the vaccine is in itself dangerous, it’s important to learn the reasons that argue for its ineffectiveness, because, obviously, if it’s not even effective, why take the risk of its side effects?. Checking PubMed for adult pertussis vaccination papers brings up lots of active research. Yes, it is recognized that it is not a perfect vaccine, but there is some immunity, and it is complicated. It is better than not vaccinating, something you seem to be advocating. Seriously, Ms. Parker, what do you have against increasing herd immunity against pertussis? Do you have a better solution for protecting infants from pertussis? First of all, the vaccine is not “dangerous” and it is not “ineffective”. From the introduction of the study you cited, “These vaccines are highly effective at preventing the severe manifestations of pertussis but are less effective at preventing bacterial colonization”. cia caught lying about how the vaccine is “dangerous”. The vaccine was well tolerated with no serious adverse events. This is one of a few studies that document increased vaccine-induced OPA against pertussis in human sera after revaccination with an acellular pertussis vaccine. In addition to OPA, the direct complement killing of the bacteria also may play a role. We have preliminary data showing that prebooster serum with low antibody levels lacks bactericidal activity, whereas after the booster a severalfold increase in bactericidal titer is obtained. With an improved vaccine that provides long lasting immunity and that can be given to adults, pertussis could eventually be eradicated. Currently the protection conferred by the whole cell vaccine is incomplete without booster protection at 15-18 months and 5 years of age. Because reactions are thought to be more severe in older children and adults, current whole cell pertussis vaccines are not recommended for anyone older than 7 years. Due to the longer lasting protection with the acellular vaccines, eventually physicians may be able to eliminate one dose in infancy and perhaps the dose currently given in the second year of life. A fourth dose could be given at school entry and a fifth dose about 10 years later. There are clinical trials currently in progress assessing the safety and efficacy of acellular vaccines among adults. There is no reason to believe that the acellular pertussis vaccine is safer than the whole cell vaccine, it appears to cause fewer mild reactions but just as many severe ones. This information above from Canada, including that people over seven shouldn’t get the pertussis vaccine, is what was broadcast here when my daughter was little, about ten years ago, before the Tdap was released and promoted. Did they really suddenly figure out how to make it safe to give those older than twelve in 2005, or did they just think they’d see how far they could get in pushing it and denying the subsequent vaccine injury? The part about long-lasting immunity in the quote above has obviously proven to have been mistaken, though I’m sure those who wrote the article were sincere in believing that what they wrote was true. First of all, perhaps you could provide the complete citation so we could see this quote in context? When was it written and by whom? Nevertheless, there are some obvious mistakes in your interpretation. There is no reason to believe that the acellular pertussis vaccine is safer than the whole cell vaccine, it appears to cause fewer mild reactions but just as many severe ones. Citation needed. The sources above disagree with your assessment. Did they really suddenly figure out how to make it safe to give those older than twelve in 2005, or did they just think they’d see how far they could get in pushing it and denying the subsequent vaccine injury? Yes. The vaccine was reformulated to minimize the reactions and still provide protection. The vaccine would undergo clinical trials for safety where vaccine injury was recorded and reported. This information is in the package insert as it is needed for licensing. With an improved vaccine that provides long lasting immunity and that can be given to adults, pertussis could eventually be eradicated. How has this been proven to be mistaken, cia? Researchers are still working on improvements to a pertussis vaccine. Acknowledgements of weaknesses of the current vaccine does not mean that the current vaccine is useless. Vaccinating with an imperfect vaccine is still better than not vaccinating at all. What a beautiful baby boy…and what a senseless loss of this sweet innocent child. Thanks to Kathy and Jonathan for sharing your story with us. Maternal vaccination. ACIP recommends that women’s health-care personnel implement a Tdap vaccination program for pregnant women who previously have not received Tdap. Health-care personnel should administer Tdap during pregnancy, preferably during the third or late second trimester (after 20 weeks’ gestation). If not administered during pregnancy, Tdap should be administered immediately postpartum. Cocooning. ACIP recommends that adolescents and adults (e.g., parents, siblings, grandparents, child-care providers, and health-care personnel) who have or anticipate having close contact with an infant aged <12 months should receive a single dose of Tdap to protect against pertussis if they have not previously received Tdap. Ideally, these adolescents and adults should receive Tdap at least 2 weeks before beginning close contact with the infant." The AAP as well, is about to issue a report about "cocooning" of young infants by providing Tdap vaccines to pregnant women, their partners, close household members and caregivers to decrease the chance of newborns and infants under one year of age, getting infected with pertussis. I worked as a public health nurse and investigated cases/outbreaks of pertussis and I recall the death of a young infant from pertussis. Case surveillance and testing of close household contacts revealed that an adult within the household infected the baby. Have you guys read about this court case in Italy in March? Judge Lucio Ardigo pronounced that it was beyond question that the MMR vaccine given to an Italian child whose name has not been disclosed on 26 March 2004 caused his autism, the first symptoms appearing the same day as the vaccination. The Health Department was ordered to pay all legal expenses (25,000 euros), and judgment for a monetary payment was made in favor of the child’s family, in the Tribunale di Rimini 15 March 2012. I’m sure glad I just said no to the MMR for my daughter, I’m sure her autism (from the hep-B and pertussis vaccines) would be much worse now if I had allowed it. CIA Parker: Do you read Italian? Perhaps you would like to offer a translation of the decision that you cite from a civil court in Italy. You will note in the “rough translation” that the judge in Italy used some unsavory studies including the study conducted by Andrew Wakefield…which was retracted by Lancet and, which resulted in Wakefield losing his medical license in the U.K. I used to think anti vaxxers were just misguided. After reading what Ms. Parker has had the gall to say here, I’m changing my analysis to reprehensible. Just appalled. So sorry for your loss, this is a wonderful thing for you to do. That is absolutely harrowing. My sympathies to this poor family. Why didn’t the doctors test Brady sooner to see if his severe cough was pertussis? Why wait until the very end? Did he catch it at the doctor’s office? Was high-dose vitamin C used to treat him? It has often been the only effective treatment, as cough suppressants are both dangerous to use for pertussis, as you don’t want the mucus to pool in the lungs, but rather to be coughed out. Antibiotics do nothing to help the patient, as the damage from the toxin has already been done, the cilia in the airways broken off, and the illness must run its course. Babies must be held upright through all coughing fits, to help them cough up the mucus. It was certainly a tragic death, but I’m not sure that promoting an often completely ineffective vaccine which only gives, when it works at all, short-lived immunity, reduced by almost 50% every year post-vax, and often causing many dangerous reactions and autoimmune conditions. is the best idea. Sandra what a delightful person you are. Typical anti vaxxer, all words, no morals, and definitely no compassion. Thanks for the timely reminder of the sheer nastiness of your people. @NK – I do find their tendency to “blame the victim” to be entirely reprehensible. Car accident; Child did not have protection of seatbelt/baby seat and was flung through windshield and tragically dies as a result. Sandra: “Why blame the lack of seatbelt for the death? Don’t you know seat belts might harm some kids? And that as seat belts age, they sometimes don’t work as well as they might? And why didn’t the firstaiders administer high dose Vitamin C to the baby at the scene, since other medical interventions don’t work?